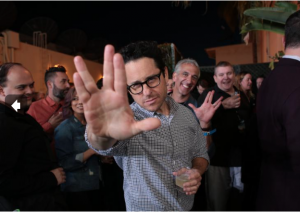 Last night Mythbuster’s Adam Savage hosted a Q&A with J.J. Abrams, Justin Lin, Chris Pine, Karl Urban & Zachary Quinto on Stage 31 where Star Trek was filmed between 1966 and 1969. The Q&A was followed by a street naming ceremony in honor of Leonard Nimoy. Following the ceremony fans were shown the new trailer and never before seen footage from the film. Are you a Star Trek fan? Let us know if you can’t wait for this film.